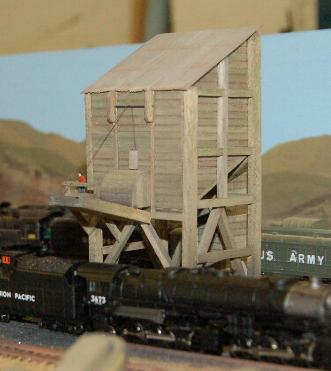 Because I was going to be using lots of steam locomotives on the layout, I decided I needed a fuelling stop. 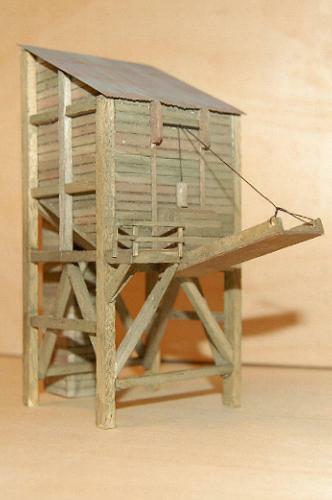 This coaling tower is made from a combination of Ramin for the supports and cross braces, and scribed balsa for the sides. All parts were stained with thinned enamel paints of various shades.